Le Journal de Montreal has an outstanding, yet disturbing look at a number of former Montreal Expos who have experienced very hard times. Pick up the February 23rd edition of the paper if you can. 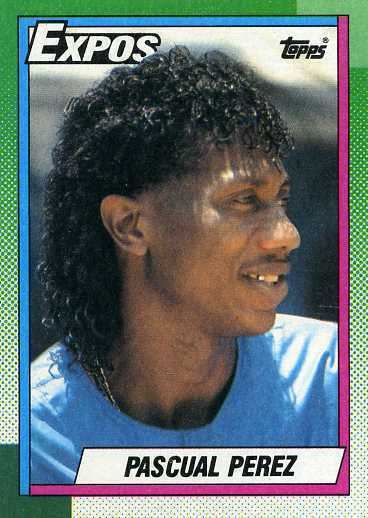 The main feature, by writer Jim Hawkins, is about Ron LeFlore. His life story was made into a TV movie while he was with the Detroit Tigers, depicting his move from prison to the ball field. 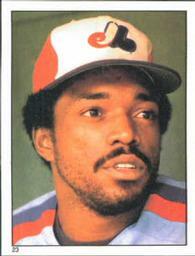 LeFlore joined the Expos in 1980 and stole 97 bases. Ironically, the one-time speedster had one of his legs amputed a few years ago in 2009. Besides Hall of Fame catcher Gary Carter, who lost his battle with cancer last year, the story focuses on a number of other ex-Expos: pitcher Pascual Perez, murdered last November; outfielder Ivan Calderone, murdered in 2003; pitcher Hideki Irabu, took him own life on July 27, 2011; outfielder Carl Everett, arrested for conjugal violence; pitcher Carolos Perez, accusations of sexual misconduct; pitcher Lary Sorensen, multiple drunk driving charges sunk his marriage and career as a broadcaster forcing him to seek work at a McDonald's restaurant; pitcher Terry Enyart, alcoholism led to him hitting his wife with a bottle, attempting to strangle the family dog and ultimately committing suicide; shortstop/outfielder Wil Cordero, conjugal violence, blew away millions of dollars and now works in a deli for $8.25 an hour; pitcher Ugueth Urbina, imprisoned on attempted murder charges after using a machete to attack five men he found on his ranch. These days the best Expos coverage can be found Monday evenings on TSN 690 Radio on the Kaufman Show --with host Dave Kaufman. Matthew Ross and his Game Points on Sundays and Tuesdays also falls into this category. 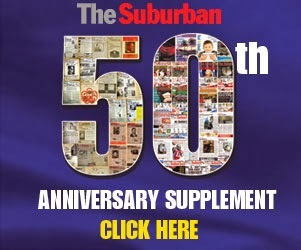 Last Sunday a special event took place at the Ben Weider Jewish Community Centre. Members of the Y Wolves basketball teams showcased 26 acts of kindness (dedicated to the shooting victims at Sandy Hook Elementary School in Connecticut) and their love of hoops. The latter quote sums up what the Wolves program stands for. Program coordinator and coach Julia Peress explained that being a part of the Wolves program means striving for excellence both on and off the court and caring about your community enough to want to change it. When Peress first heard about #26actsofkindness, which suggests that one random act of kindness to commemorate each of the 20 children and six adults that were killed in the Sandy Hook Elementary School shooting in Newtown Connecticut, she was immediately inspired by the campaign and insisted that the program follow suit. Over the past few weeks, Wolves coaches were promoting #26acts and encouraging their players to be kind to and considerate of others. The players embraced these lessons and took them to a whole new level, surpassing all expectations. “When we first introduced the idea the players thought that every act needed to be huge; they were going to soup kitchens and retirement homes," said Peress. "They soon realized that opportunities to do good deeds are everywhere and they don’t necessarily need to be planned. Some acts thus far have included: organizing a clothing and shoe drive for Haiti, visiting and participating in a program at a senior’s residence, volunteering at MADA, helping younger siblings with their homework, saving their money and donating it to charity and several others. " Last Sunday, the Wolves teams had a chance to showcase their acts and commemorate the victims in a ceremony in which they also unveiled a #26 jersey that the players will sign and send to Sandy Hook at the end of the season. “It was really something special, and to see these kids embrace kindness with such passion and motivation is truly inspirational," commented coach and former Wolves player Melissa Szilagyi. The Wolves players have surpassed their goal of completing #26acts and are committed to continue spreading kindness and good will within their communities. Here is the clip from CTV News.